Add ons can include: corn kernels sliced from a cob, shredded chicken or tofu, etc. 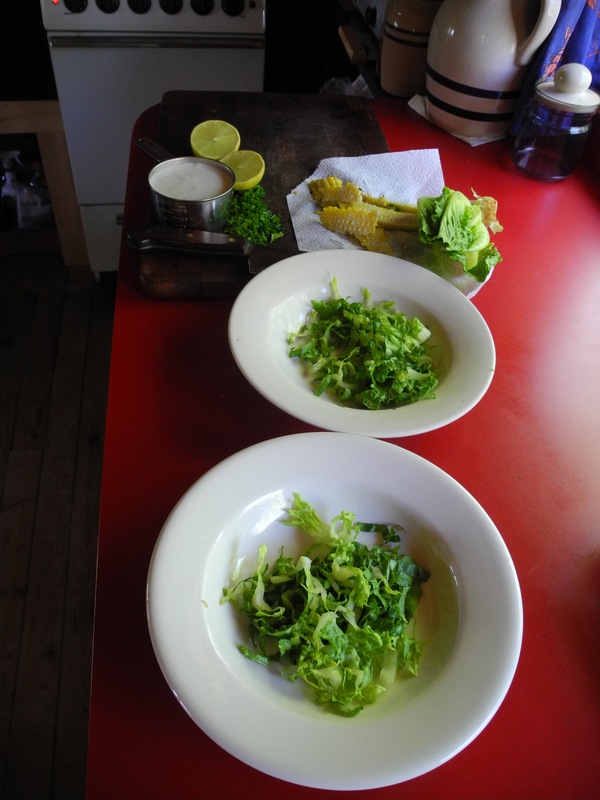 • Slice up lettuce and place about a cup of shreds in each soup bowl. Set aside. • Bring three cups water to boil. Add dry soup mix and pasta and boil gently for approximately 10 minutes or until pasta is done. Stir in coconut milk, lemon juice and red pepper and any add-ons you desire. Bring to a boil again. • Ladle hot soup over lettuce in bowls. Garnish with chives. Makes four servings.